this is hilarious! 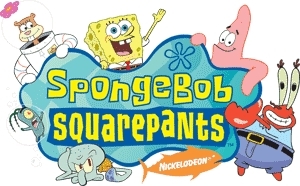 I love Spongebob! except the new ones are just kinda stupid. I agree the new one's are pointless. HAHAHAAHAHAHAHAHAHAAHAHAHA! LOL!!!!!! ROFL!!!!!! CHOCOLATE!!!!!!!!!!!!!!!!!!!!!!!!!! CHOCOLATE!!!!!!!!!!!!!!!! I REALLY DIDNT SEE DAT COMING! BUT THAT WAS AWESOME!!!!!!!!!! THAT WAS LIKE COMEDY CLUB: CRAPPY JOBS WITH SHADOW!!!!!! SHADOW- MAY I TAKE YOURE ORDER? EGGMAN- WHOPPER!!!!! WHOPPER NO ONIONS!!!!! WHOPPER!!!!! SHADOW- UMMM CHEWBAKA? WERE TALKING ABOUT FOOD HERE NOT MISSILES GOVERNOR NOW DRIVE AROUND!!!!!! I liked the part when he said CHOCOLATE!!!!! It's not an ocean, it's a sea. Can you Feel It Mr. Krabs for 15 min.